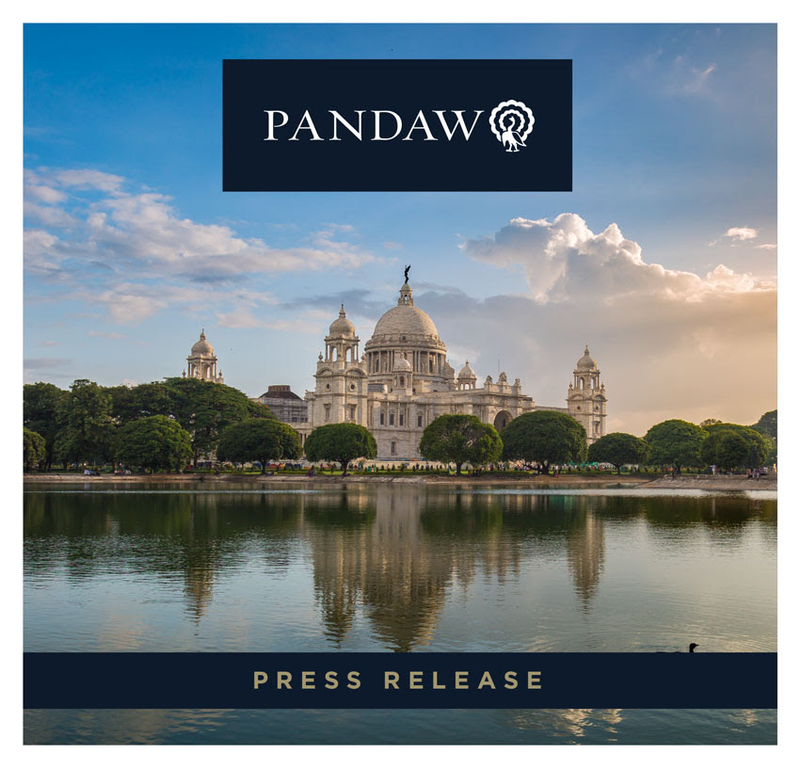 Pandaw has announced the launch of an India river expedition that will take guests on an epic journey along The Lower Ganges, aboard the stately, "Orient Pandaw". The seven-night, "The Lower Ganges" sailing from Kolkata to Farraka and vice versa, will debut on 23 December 2018 and will offer weekly departures until the end of April 2019. It will re-commence in July 2019 through to April 2020. "We're delighted to have our own ship positioned in India and are excited to be able to offer our customers the full Pandaw experience in a totally new destination," said Pandaw founder, Paul Strachan. "There's no river in the world as sacred as The Ganges and an expedition on the Lower Ganges (or "Hooghly") is one of the most picturesque journeys imaginable. The river wends its way through the lush countryside of West Bengal with its culturally significant towns crammed with temples and palaces. A rich and vibrant rural life abounds and there is never a dull moment as we gently ply this charming waterway." "At Pandaw we strive to innovate, bringing new and exciting experiences to our loyal customers as often as we can. Adding India to our portfolio of exotic destinations is an important milestone." Starting in Kolkata, the upstream itinerary sets sail at noon, passing by the old Danish colony of Serampore to Barrackpore, where guests will take a walk through the cantonment – past the Semaphore Tower, Government House, the Temple of Fame and Flagstaff House. On day two, guests will sail up to Chandernagore, a French possession until 1950, and visit the 18th century church and Dupleix's House of the former Governor-General of French India. Cruising on past the old Dutch settlement of Chinsura, guests will have the chance to visit the imposing Imambara at Hooghly. On day three, the ship will land at the country town of Kalna and guests will be taken by cycle rickshaws to see some of Bengal's most attractive terracotta temples, as well as the unique Shiva temple with concentric rings made up of 108 lesser shrines. The itinerary will continue on through the countryside to Mayapur to visit the vast new ISKCON (International Society for Krishna Consciousness) temple which dominates the skyline. As the headquarters of ISKCON or the Hare Krishna movement, the temple receives over a million singing and dancing devotees a year from around the world. On day four, after mooring near the brass-working village of Matiari, guests will make a morning visit to the a charming riverside village, where they can interact with the locals and witness the primitive process of beating out brass water pots and other vessels. Later, they will cruise on and visit the battlefield of Plassey where, in 1757, Robert Clive, the Commander-in-Chief of British India, defeated Siraj-ud-Daulah, the last independent Nawab of Bengal, to change the course of Indian history. Day five brings a morning walk to the Khushbagh, a peaceful Mughal-style garden that encloses the tombs of Siraj-ud-Daulah – the last independent Nawab of Bengal – and his family. A little further upstream, guests will reach the great Hazarduari Palace, built by an English architect in 1837 and host to an extensive collection of pictures, china, weapons and other objects. On the sixth morning, guests will experience rural India at its most idyllic by enjoying a walk through the fields of the sleepy village of Baranagar to visit its three miniature terracotta temples. Continuing up The Lower Ganges, which transforms into a charming waterway twisting and turning between banks lined with mustard fields and mango orchards, guests will eventually reach a mooring close to the Farakka Barrage. Finally, on day seven, the ship will cruise to a mooring by the Farakka lock and guests will disembark and go on a full-day excursion by road to Gaur, near the town of Malda, or English Bazar. This quiet, deserted place was once one of India's great cities, first under the Hindus in 12th century, then as the Muslim capital of Eastern India from the 14th to the 16th century. There are plentiful remains of mosques, palaces and gateways and guests will visit a number of the most interesting before re-joining the ship in the evening above the Farakka lock gate to complete the cruise upstream. Prices for "The Lower Ganges" itinerary, start from US$1890.00 per person, based on two people sharing a cabin and this includes seven nights' accommodation aboard the Orient Pandaw, local transfers, all excursions as stated on the itinerary, entrance fees, guide services (English language), main meals, jugged coffee, selection of teas and tisanes, local soft drinks, local beer, local spirits, mineral water, crew gratuities and cycling equipment. International flights are additional. Pandaw is the pioneer of boutique river expeditions throughout Southeast Asia. The unique design of Pandaw's small but powerful shallow-draft ships, beautifully hand-crafted in teak and brass, allows them to sail through a tapestry of remote rivers and coastal routes in Burma, Thailand, Vietnam, Cambodia, Laos and China. The original company, known as the Irrawaddy Flotilla Company, founded in 1865, was acquired by Paul and Roser Strachan in 1995. Renamed Pandaw, following the discovery and acquisition of this last remaining Clyde-built steamer, the company has consistently cruised through new frontiers, pushing the boundaries beyond its original home of Burma. Pandaw brought its unique concept and style to expeditions along the Mekong River through Indochina in 2003, inaugurated new river cruises on the Ganges in India during 2009 and pioneered the first routes on both the Red River in Northern Vietnam and the Upper Mekong through Laos into China in 2015. Pandaw believes in giving back to society. Paul Strachan, Founder & CEO, established the Pandaw charity in 2008 to support education and healthcare efforts in Burma. The charity is entirely sponsored by donations from Pandaw passengers and a profit share from Pandaw River Expeditions.